In my last post over one week ago, I signed off with a limerick that had deaf and blind policemen and a quote from Ringo Starr. It seems Bangkok got some of the former but not much peace since we left on January 15th, 2014 for Luang Prabang, Laos. 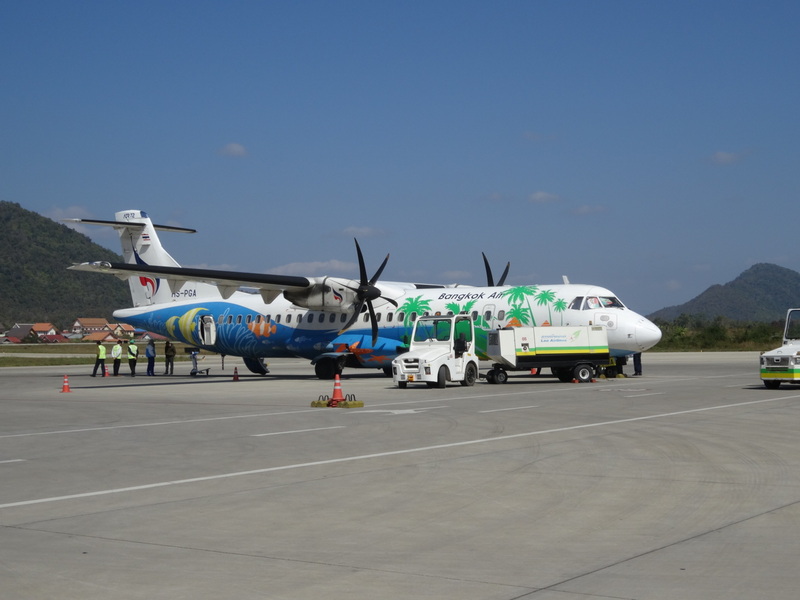 We flew into Luang Prabang airport via Bangkok Airways on a twin prop 72 seater, which had 45 on board. Flight time was a little under 2 hours – a smooth flight – cost per person from Bangkok bt 11,000 round trip. Guest houses can be had for $10 US a night. The highend goes for $150-$200 US. 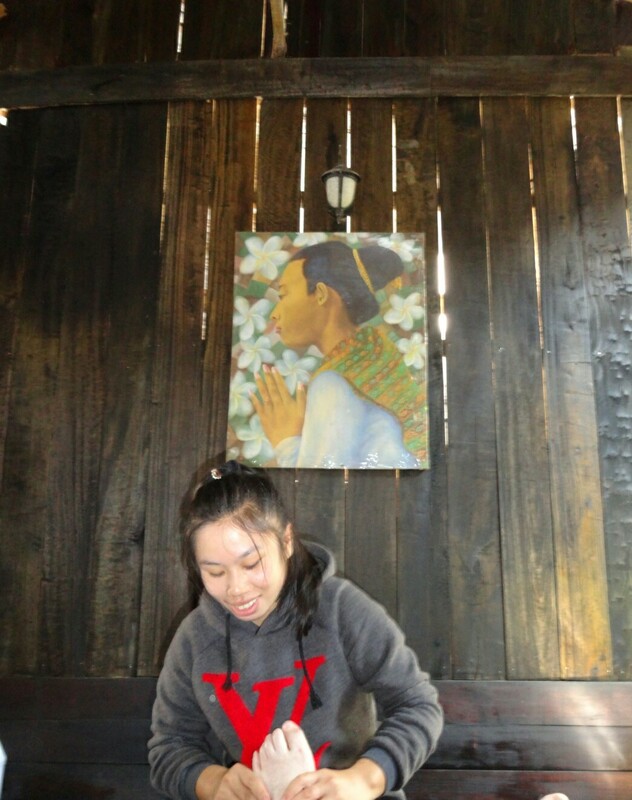 I took the middle path again and got a river view ground floor with front yard for bt 1,100 per night plus 20% tax or right around $40 US per night. 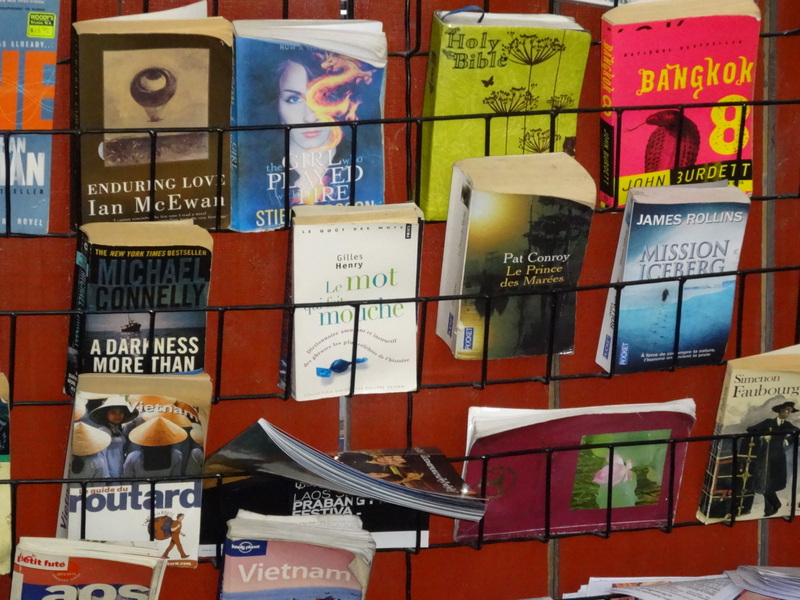 As I commented on my Facebook account, you have to appreciate a Buddhist country with a communist history, which has guest houses that put The Holy Bible alongside John Burdett’s BANGKOK 8. 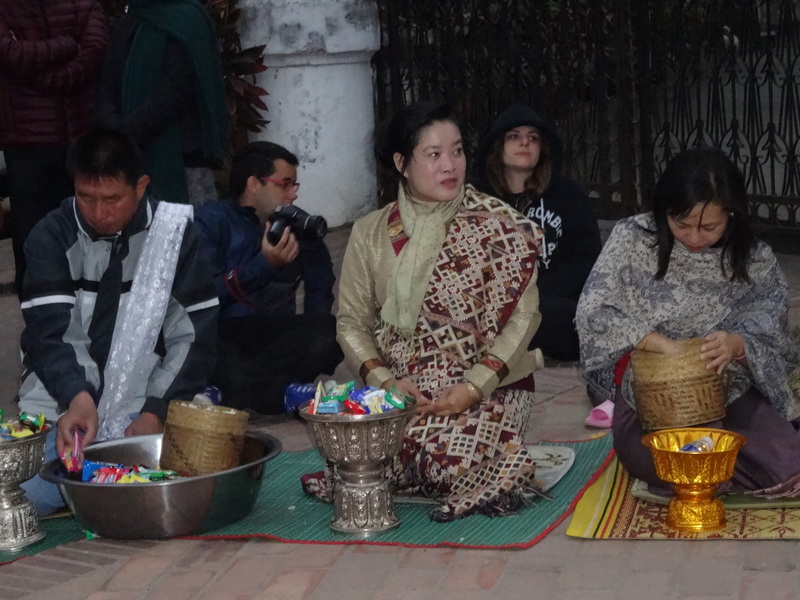 First impressions were all favorable of Laos. But it was early into trip. 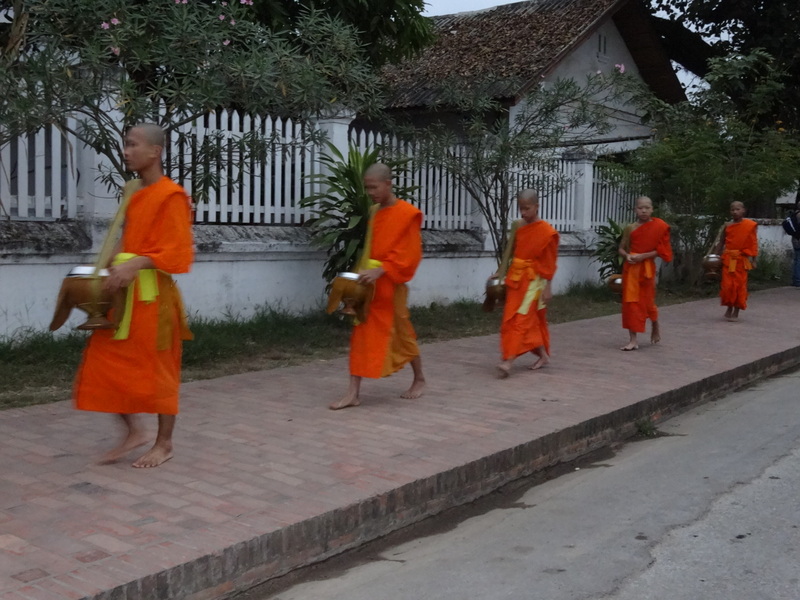 The first day we got up before the roosters out front were crowing, about 5:45 a.m. to see the monk procession receiving morning alms which Luang Prabang is known for. A when in Rome event but one that did not dissapoint as the Bangkok political unrest caused a dip in tourist arrivals. Less is more, big time, in this case. We’ll have to leave the foot masseuse as a Flash Gordon cliff hanger. I’m writing this post on my Google Nexus 5 phone. As much as I love the phone the internet speed at the French bakery and coffee shop is too slow to continue much longer. On the second day a foot massage was in order. At one point I asked the masseuse whatshe thought of her Chinese neighbors? “Here is better”, she said. I have to concur with her wisdom for right now. At the same time, I hope the politicos in Bangkok start listening to Ringo Starr, soon, before things go from bad to worse. 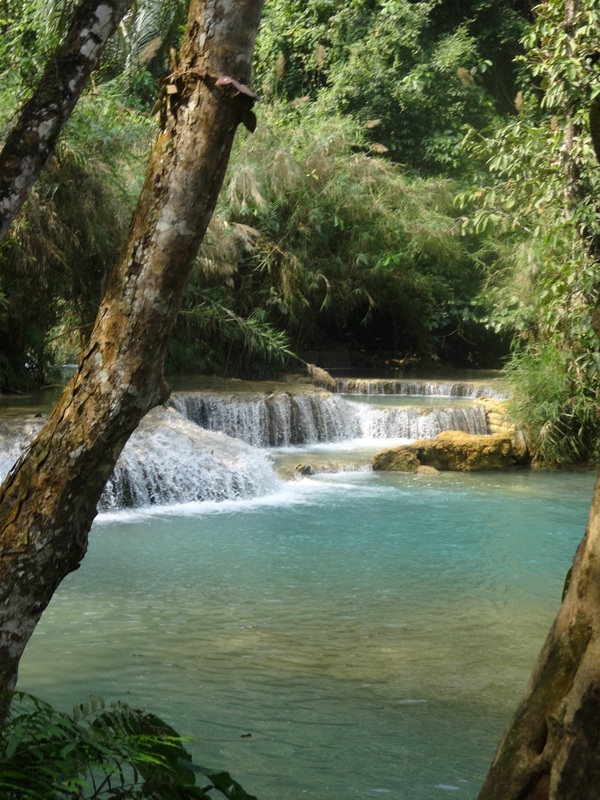 Our planned six night stay in Luang Prabang has been extended, by choice, to thirteen. Five more to go. Another post will come before I return to the uncertainity of Bangkok, which is now under a State of Emergency for the remainder of 60 days. 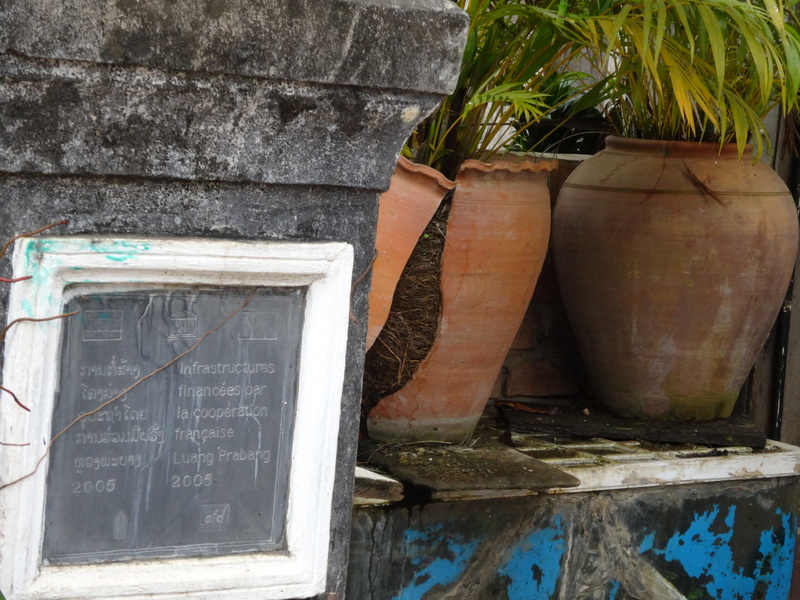 Life goes on, slowly, in Luang Prabang.